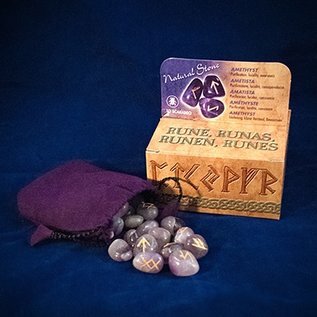 Bring new energy to your divination, magic, and meditation practices with runes. Discover the unique power of these sacred runic symbols―the magical language of the northern gods. 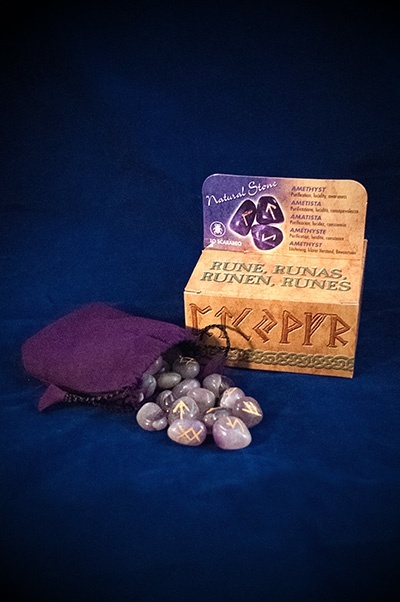 Carved into amethyst, these exquisite runes are magical as well as beautiful. Rune #22 will have one of two patterns.